There is a wide range of plants for your herb garden to consider for use in herbal infusions. It's important to remember that almost all herbs need a lot of sun, at least 6 hours a day, especially the ones that are high in volatile oils. They also prefer a well drained and somewhat sandy soil. Container gardening is an option if you have limited space. 1) Keep larger plants in the back or center if garden is round, with sizes graduating down in height to the outside edge. 2) If the garden is large, don't forget to leave room for a path for easy access for harvesting and weeding. 3) Consider the type of mulch you would like to use to inhibit weed growth. Many gardeners use landscape fabric for weed control along with the mulch. 4) Herbs do need air circulation to prevent mold so watch for overcrowding. 5) Have easy access to water to avoid the need for dragging hoses or carrying water a long distance. 6) Water the plants from the base and try to avoid misting and wetting the leaves too much as that can encourage mold and fungal problems. Decide on your selection of plants and their future uses before going to the garden center or you may end up with an overabundance of plant material. If you are just starting out, keep your list small. Anyone who loves plants finds it difficult to resist purchasing endless varieties when walking through greenhouses of lush plants and flowers. Basic choices would include: lavender (Lavendula angustifolia), thyme (Thymus vulgaris), calendula (Calendula officinalis), St. Johnswort (Hypericum perforatum), oregano (Origanum vulgare), marjoram (Origanum majorana), chamomile (Roman Chamomile) (Anthemis nobilis), a perennial groundcover and German Chamomile (Matricaria recutita), an annual, comfrey (Symphytum officinale) (be sure to leave room for this plant as it grows tall and wide), lemon balm (Melissa officinalis), rosemary (Rosmarinus officinalis) (best grown in a pot if you live in the Northeast), echinacea (Echinacea purpurea), goldenseal (Hydrastis canadensis) (this plant does require shade but I recommend growing it as it is overharvested and on the endangered plant list), and arnica (Arnica montana) (for topical use only). Safety note: Do not plant Arnica if you have small children as this plant is poisonous. The flowers are used to make a powerful healing oil for muscular pain. While many of the mints are nice, they can be invasive so I would recommend planting them in their pot right into the ground. This cuts down on their spreading throughout your yard. Remember to keep a journal of what you planted, the date/season when planted, and it also helps to add photos of your plants and your garden for future reference. Take note of any insects or diseases that they incur. Fortunately, most herbs tend to be disease and insect free because of the volatile oils they contain. After doing a little research this list can be easily extended. Many of our common medicinal weeds can be harvested from nature so they do not need to be planted and actually grow better in the wild. These would include dandelion (Taraxacum officinale), chickweed (Stellaria media) and plantain (Plantago majoris) which can all be made into herbal infused oils and used in massage oils, skin care and wound healing salves. The infused flowers of dandelion make a powerful healing oil for any muscular tension in the neck and shoulder area. Chickweed makes a soothing oil for skin care and plantain is wonderful in salves for cuts, scrapes, insect bites, etc. Once your plants are established, and to encourage more growth, pinch off the new growth on lateral branches. You can harvest these leaves for further use, either culinary or medicinally. The flavor for cooking is best before the herbs begin to flower. If harvesting herbs for making infused oils, be sure to dry wilt them in a shaded area for at least 24 hours before adding oil or mold may appear. I usually lay them on a screen but an open weave basket works well, too. For drying for later use, hang in tied bunches in a warm, dark, dry area. Many herbs can also be put in the freezer for future use. You can place them between layers of wax paper, freeze and then store. Or for culinary use put them in ice cube trays and freeze so they can be easily removed at a future time. These can be added to soups, stews and sauces. Another thing to take into consideration when planting is what makes up the local wildlife, be it deer, bees or birds. Many herbs, because of the volatile oils they contain are deer resistant, especially mints (Menthe spp. ), lavender (Lavendula spp. ), rosemary (Rosmarinus officinalis), sage (Salvia spp. ), bee balm (Monarda spp.) and yarrow (Achillea millefolium). You might like to consider plants that would attract hummingbirds or butterflies to your garden. If so, then choose bee balm (Monarda spp.) and butterflyweed (Asclepias sp.). Annuals such as pineapple sage (Salvia elegans) and cardinal flower vine (Ipomoea quamoclit) are great hummingbird attractors. To make an herbal infused oil, dry wilt the plant material for 24 hours to remove excess moisture and prevent mold. Place herbs in a clean, sterile jar and add enough oil to cover the plant material. Choice of oils may vary according to preference. Olive oil has its own medicinal properties and works well in salves. Almond oil or apricot kernel oil work well in skin care and are much lighter than olive oil in both texture and scent. Keep the infused herbal oil in a sunny location, whether in your garden or a bright window sill, for approximately a month. Strain the herbs off through cheesecloth and place the resulting infused oil in a glass jar. They will keep much longer if they are refrigerated. Calendula oil will turn a beautiful golden/pale orange color. Comfrey, chickweed and plantain oils will have a green hue and St. Johnswort will become a deep, rich red, formed by its hypericin content. This is the chemical constituent that gives the plant its botanical name - Hypericum perforatum. The taxonomic name perforatum comes from the tiny holes that can be seen in the leaves when held up to the sunlight, making them truly look perforated. This oil is a must for any herbal first aid kit along with calendula oil. Calendula is an amazing anti-inflammatory and works great in skin care. St. Johnswort works well for nerve and tissue damage, wound healing and for a scar oil blend. The addition of essential oils to these infused herbal oils makes them incredible healing agents. Once you get a little more adventurous in your garden design and plant selections, you can 'branch out' to many of the cultivars and eclectic varieties of herbs and perennials as well as the infinite selections of annuals. Try your hand at variegated sages (Salvia spp. ), thymes (Thymus spp. ), oreganos (Origanum spp.) or something like bronze fennel (Foeniculum vulgare "Purpurea"). Entice your taste buds with Thai, African, Black Opal or Lemon Basil (Ocimum spp). You could try growing a selection of all lemon scented herbs - lemon balm (Melissa officinalis), lemon verbena (Aloysia citrodora), lemon grass (Cymbopogon citratus), lemon thyme (Thymus x citriodora), etc., and so on. You get the idea. Or plant a grouping of plants with silvery foliage or just white flowers for night viewing. Most of the white flowering plants are heavily scented and look beautiful in the moonlight. The list of ideas is endless as are all the possibilities. Let your imagination run wild as you make your own connection to the green world. Lesley A. Wooler B.Sc., RA, CYT, earned her degree in Horticulture from the University of RI. She completed her first herbal apprenticeship and advanced herbal studies in the 1990's and is the owner of The Herb Wyfe Holistic Health Center in Wickford, RI. She has served for eight years on the council for NEHA (North East Herbal Association); the past 4 years as its President. Lesley is also a member of the following organizations: United Plant Savers, American Botanical Council, Herb Society of America, American Horticultural Society, Rhode Island Wild Plant Society and O-SHA (Ocean State Herbal Association) and NAHA (National Association for Holistic Aromatherapy). Lesley is also the NAHA Regional Director for Rhode Island. She received over 230 hours of aromatherapy training at The Center for Holistic Botanical Studies where she was also on staff. She studied with Valerie Ann Worwood for over 4 years and is a Level IV Aroma Genera Practitioner. She has been teaching aromatherapy classes throughout the New England area for over 15 years. 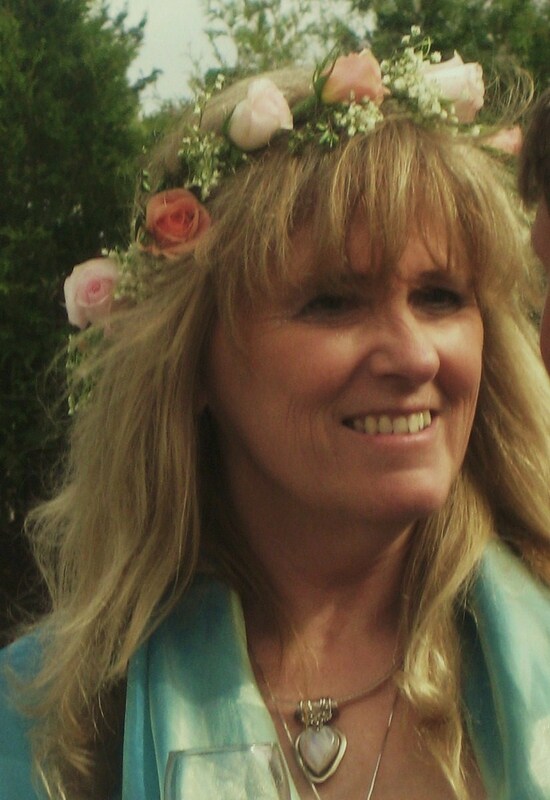 Lesley is a Flower Essence Practitioner, having completed her training with David Dalton of Delta Gardens in 2000. She is also a professional member of FES (Flower Essence Society). She loves using her knowledge of herbs, essential oils and flower essences in combination to make healing remedies for her clients. Lesley has maintained her own landscape/gardening business, "Gardening with Finesse," for the past 12 years and is a RI/CH (Rhode Island Certified Horticulturist) through RINLA (Rhode Island Nursery and Landscape Association). She completed her Master Gardener program through URI in 1984. She enjoys sharing her love of the Green World with others. Click here to purchase Lesley's NAHA Teleconference Presentation: Learn How to Make Aromatic Infused Oils. Note: Articles appearing in the NAHA e-newsletters, e-journals and other published materials fall under the NAHA publishing rights and are published with the author's permission. Copying, reposting or publishing these articles without written permission from NAHA constitues an infridgment of copyright law. You are welcome to post a link to the NAHA Blog which includes past articles. Would you like to contribute an article for a future NAHA E-newsletter? Click here to download the Writer's Guidelines.